In 1814 Madame Dix, Dorothea’s seventy-year-old paternal grandmother, decided that her son and his wife were no longer capable of caring for their children. Madame Dix took the three children to live at the Dix Mansion in Boston, and sent their parents off to live with relatives. Madame Dix was wealthy and demanded that Dorothea behave like a wealthy girl. She hired a dance instructor and a seamstress to cater to Dorothea’s personal needs. However, she was not interested in these things. Her grandmother punished Dorothea severely when she tried to give her new clothes to beggar children who were standing at their front gate. Madame Dix then sent Dorothea to live with her sister, Mrs. Duncan, in Worcester, Massachusetts to be turned into a lady. At her great aunt’s house Dorothea immediately tried to take on the role of young lady so she could return to her brothers. However, she remained with her aunt for nearly four years. By 1821, she was again residing with her grandmother in Boston. Dorothea’s father died in New Hampshire that spring. About that same time she decided not to marry Edward Bangs and returned his engagement ring. She became a devout Unitarian and embraced their religious commitment to work for the good of society. 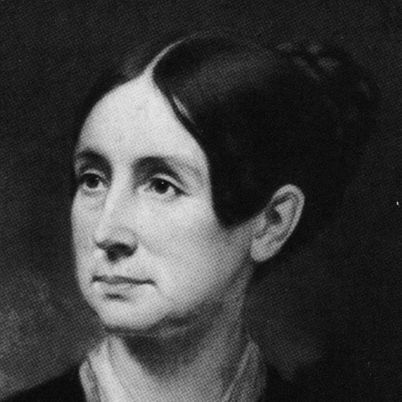 In 1831, Dorothea Dix returned to Boston and opened another school on the grounds of her grandmother’s estate. She soon received news that her good friend General Levi Lincoln had been elected Governor of Massachusetts and his Secretary of State was her former fiance Edward Bangs. These two individuals would later become influential in helping Dorothea in her work for the mentally ill. In 1836 Dix began taking care of her sick grandmother and continued teaching at her school. However, her work was often interrupted by a recurring and severe upper respiratory ailment, probably tuberculosis, aggravated by a work schedule that afforded too little time for sleep. Upon her doctor’s urging she gave up her school and took an extended rest. In 1837, Dix returned to the United States and discovered that her grandmother had left her an inheritance. She also traveled and executed the terms of Madame Dix’s will, visiting distant relatives and dispersed the remainder of the money under the terms of the will. Dorothea’s own inheritance, along with the royalties from her books, supported her for the rest of her life. Within the confines of this jail she observed prostitutes, drunks, criminals, retarded individuals and the mentally ill – lunatics they were called at the time – all housed together with no heat, no light, little or no clothing, no furniture, and without sanitary facilities. When asked why the jail was in this condition her answer was, “the insane do not feel heat or cold.” Dix secured a court order to provide heat and to make other improvements. For the next forty years, this work was Dorothea Dix’s life. 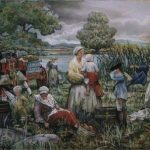 She began by visiting jails and almshouses all over Massachusetts, conducting one of the earliest social research projects in the United States. This was at a time when women seldom traveled alone or attempted to influence legislation, funding or the regulation of public institutions. I come to present the strong claims of suffering humanity. I come to place before the Legislature of Massachusetts the condition of the miserable, the desolate, the outcast. …to call your attention to the present state of insane persons confined within this Commonwealth, in cages, closets, cellars, stalls, pens! Chained, naked, beaten with rods, and lashed into obedience! In 1846, Dix traveled to Illinois to study its treatment of the mentally ill. She became ill and spent the winter of 1846 in Springfield, Illinois recovering, but her report was ready for the January 1847 legislative session, which promptly adopted legislation establishing Illinois’ first state mental hospital. Dorothea Dix’s skill as a lobbyist made her the most politically active woman of her generation. By the late 1840s she was formulating an ambitious plan to assure proper facilities for the insane poor in the long term. The culmination of this work was the Bill for the Benefit of the Indigent Insane, legislation to set aside 12,225,000 acres of Federal land – 10,000,000 acres for the benefit of the insane and the remainder for the blind, deaf and dumb. From 1848-54 she lobbied for her plan and secured passage from both the Senate and the House of Representatives. However, by the time the bill reached the White House in 1854, Dix’s friend Millard Fillmore (they corresponded regularly for years) was no longer president. President Franklin Pierce vetoed the Bill for the Benefit of the Indigent Insane, arguing that social welfare was the responsibility of the states. 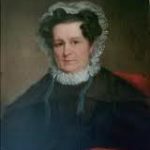 Stung by the defeat of her bill, in 1854 Dix traveled to Europe to rest from her thirteen years of work for the mentally ill. In Great Britain she reconnected with the Rathbones, then conducted investigations of Scotland’s madhouses. She then began her process of inspecting jails and almshouses in France, Austria, Italy, Greece, Turkey, Russia, Sweden, Denmark, Holland, Belgium and Germany. Between 1854 and 1856 she made effective changes in the way Europeans dealt with the mentally ill. 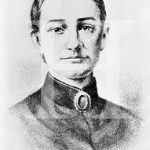 Soon after the Civil War began in 1861, 59-year-old Dorothea Dix was appointed Superintendent of Army Nurses by the Union Army, beating out Dr. Elizabeth Blackwell. Unfortunately, the qualities that made her a successful crusader – independence and single-minded zeal – did not lend themselves to managing a large organization of female nurses. This relieved Dix of any real responsibility and made her a figurehead. Meanwhile, her fame and influence were being eclipsed by other prominent women like Dr. Mary Edwards Walker and Clara Barton. Dix submitted her resignation in August 1865 and would later consider this ‘episode’ in her career a failure. Depressed by deteriorating accommodations and programs for the insane, Dix finally retired in 1881 at age 79. She refused to talk about her achievements and wanted them to “rest in silence,” nor would she cooperate with those who inquired about her life and career. 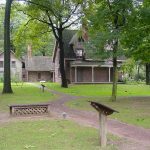 That same year, the New Jersey State Hospital at Morris Plains opened – the first hospital to be built through Dix’s efforts. There the state legislature designated a suite for her private use as long as she lived. Since her health was failing she admitted herself into this hospital. Although an invalid, she managed to correspond with people from England to Japan.